We are sure you’ll love to enjoy a leisure ride across beautiful valleys surrounded by green palms and fertile orchards with the scent of fruits permeating the air, and pay visits to villages and Berber cultures without the added stress of hiking all the way to the Anti-Atlas Mountains. You can enjoy all these if you forgo the standard Morocco tours and opt for something a bit unconventional by cycling across the country, going from Paradise Valley down to the Atlantic coast and all the other places in between, maintaining your double-wheeled pace. You can pick the Morocco itinerary you like when cycling through Morocco. If you want to enjoy the best cycling experience in the country, it is better to give yourself at least seven days to enjoy the rich countryside and interact with some very intriguing people. If you decide to join a cycling tour, you should know that carrier vehicles and cars will be used for part of the trip to cover some of the less-safe terrains as well as steep mountains. 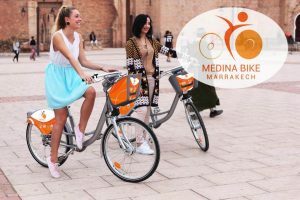 To travel through Morocco in 7 days using a bicycle, you must be able to move quickly in-between destinations. If not, then you should be prepared to spend more time in the country or shorten your itinerary to include only a few places that are within riding distance. 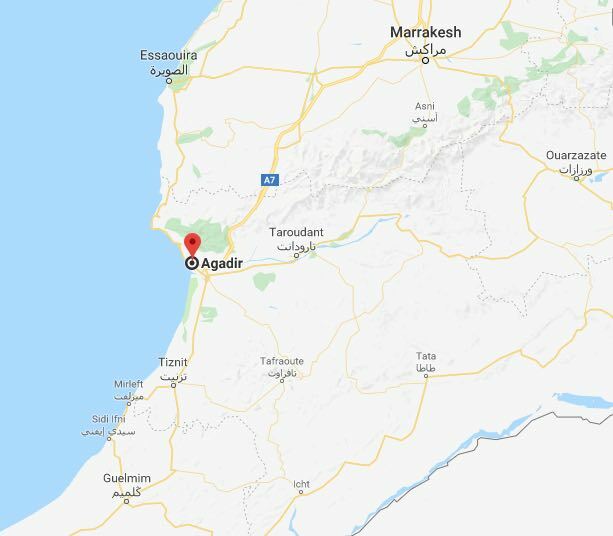 Although you can begin your journey from any city, Agadir city, however, is a great place to start your bicycle tour if you’re also interested in swimming. 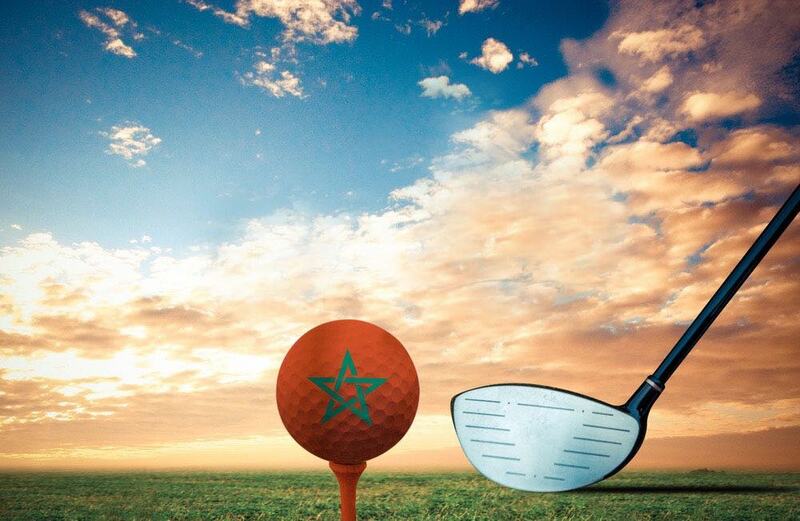 From Agadir, you can continue to Tafraoute, which is an old garrison town located in that area. Between these two towns, you’ll see a lot of villages and towns across what used to be one of the most significant trade routes across the country. Olive groves and orange orchards are a big part of the scenery. A lot of the small villages on this route are famous for their markets (Traditionally, buses are used to cover this part of the trip). Your cycling journey towards Ait-Abdellah, begins about 40 kilometres away from Igherm. The cycling experience of this trip is carried out across well-paved roads. You shall also cross over the Tizi-n-Tarakatine and move towards Tafraoute. Don’t forget to go with a camera because there will be a lot of opportunities for photos both at the pass and across the town. You’ll come across majestic rock formations that highlight the past volcanic activities in the areas, giving you shots that include spiky pinnacles and pink granite. 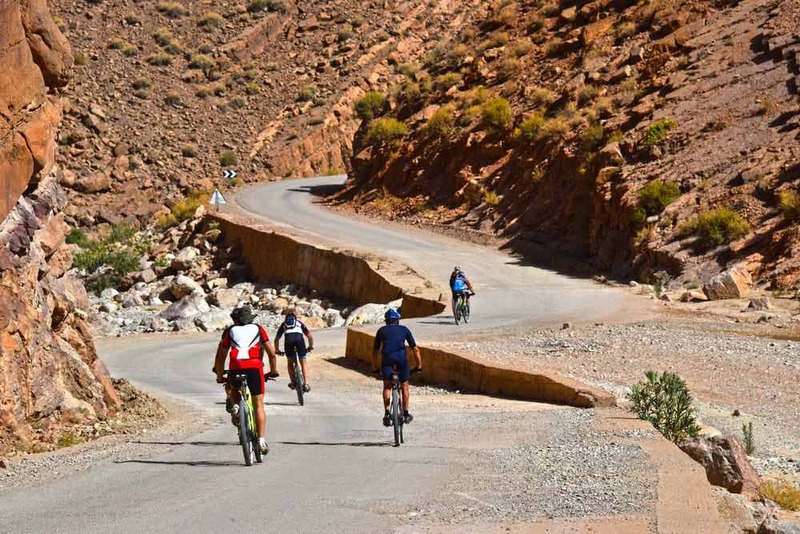 Depending on your choice of the itinerary for the Morocco tour, you will cycle round Tafraoute and explore its lovely countryside for not less than 3 days. It is at this point that you can start learning about the different Berber tribes across Morocco who enjoy nomadic and independent lifestyles like their ancestors before them. With all the places to explore and the different tribes to enjoy, you’ll discover that this part of the journey progresses quite fast. After leaving Tafraout, your next stop will be the Ammeln Valley which is nestled across the high mountain passes with lots of palm groves and almond. This happens to be the Ammeln’s ancestral home, and they’re one of the most popular tribes across the Anti-Atlas Mountains. You can drive down there, explore the area while riding your bicycle and use the opportunity to speak with the Ammeln. The Ammeln along with the five other tribes that live in this region are referred to as the ‘Lords of the Atlas’. These people are extremely loyal and very money savvy and independent. It is very misleading to say that their cultures are not the same as that of the rest of the country because they’re most likely the most fitting example of the historical culture of Morocco. Visiting these nomadic tribes gives you the opportunity to experience their dance, music, religion and language first hand. After leaving the Ammeln Valley, your next destination will be Ait Iftane and Tanalte through Ait Ihya high in the mountains. You’ll be biking across very beautiful scenery so you should try and take pictures. Also you’ll drive through the Anti-Atlas down to Lakhmis Idaougnidif to spend the night before waking up early the next day to set out for Tahala. Tahala is an oasis located in the centre of an extremely dry plain. 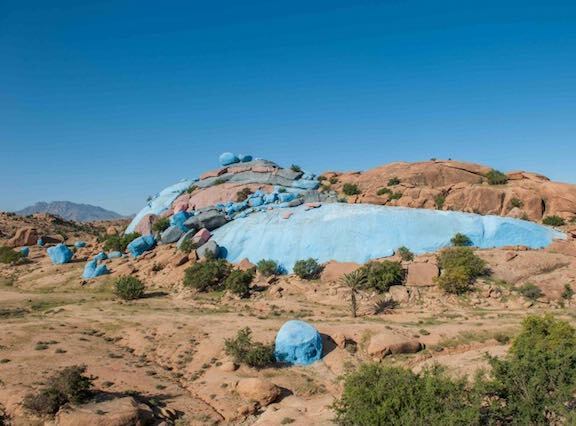 You’ll discover little Berber settlements here, as well as the ‘Painted Rocks’, which is an outdoor rock formation exhibit painted by a Belgian artist known as Jean Veran in the year 1984. 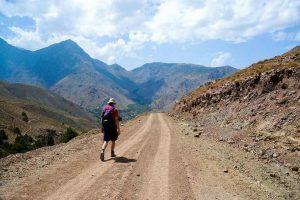 Next, proceed to Ait Mansour with its extraordinary gorge and spend another night in Tafraoute enjoying the mountains. Then set out for the coastline as well as the banks of the Ait Moussa River before proceeding to Paradise Valley, then the Atlantic Coast after which you can head back to Agadir. Biking across Morocco is an awesome way to enjoy the lovely country. Experience the culture and enjoy some of the countrysides at your own pace without any pressure. And for people who are environmentally conscious, it is a green way of travelling and a fun way of exercising.